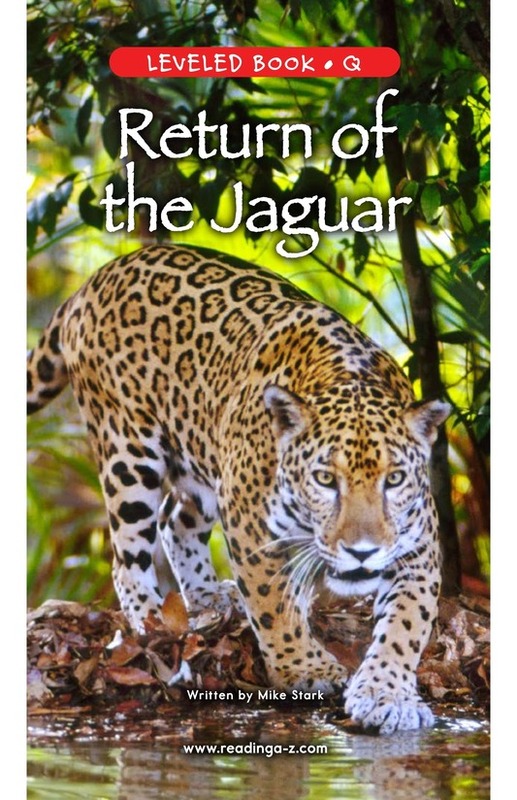 Jaguars are the third-largest wild cats in the world and the largest in the Western Hemisphere. 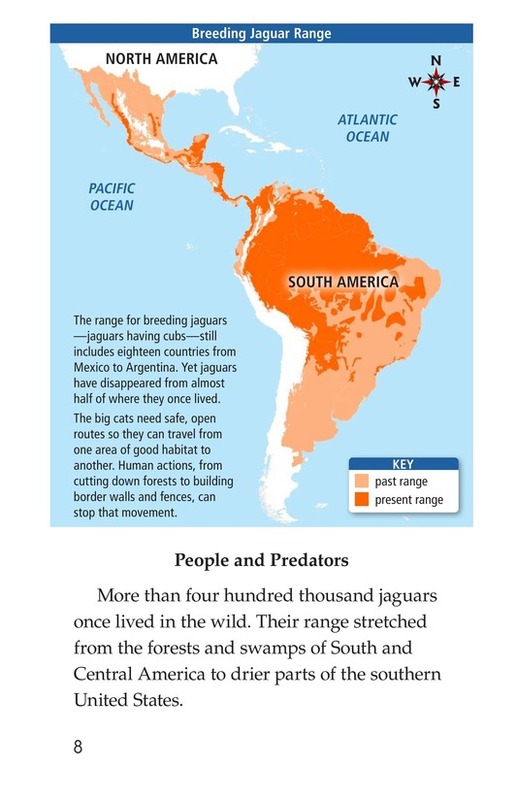 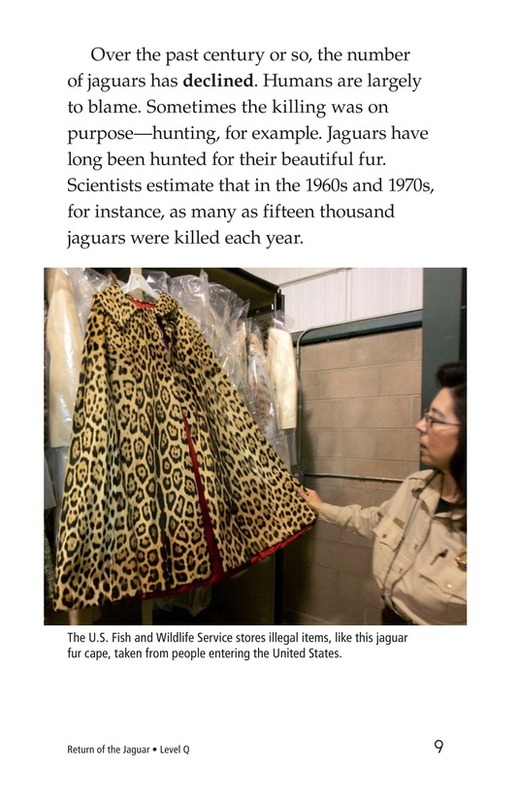 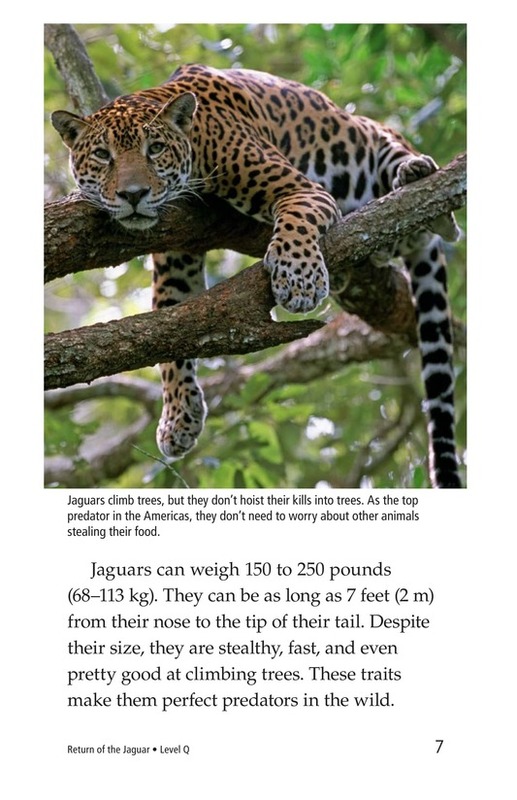 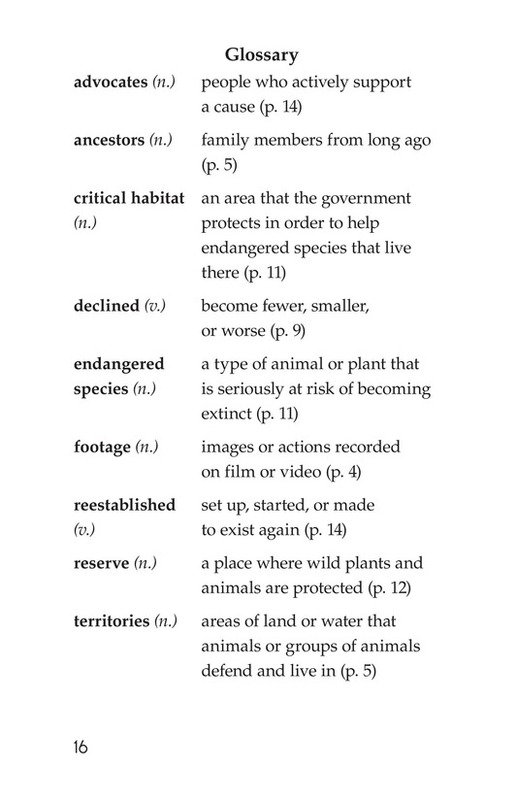 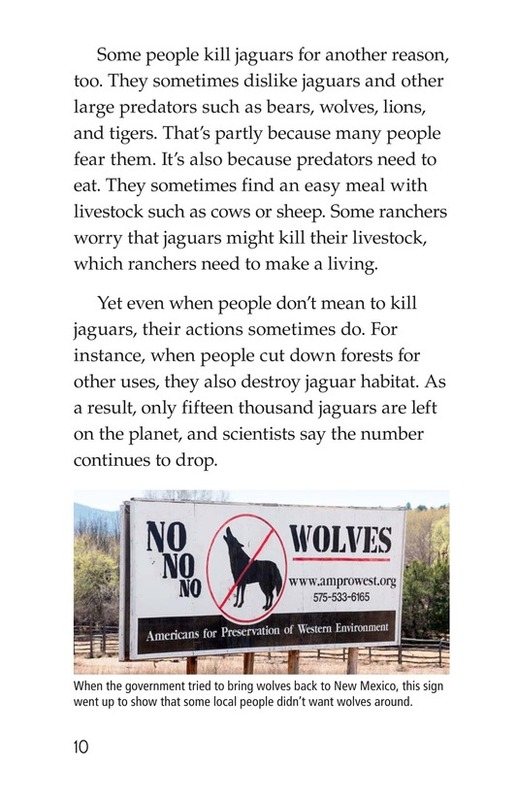 In the past, there were more than four hundred thousand jaguars living in the wild. 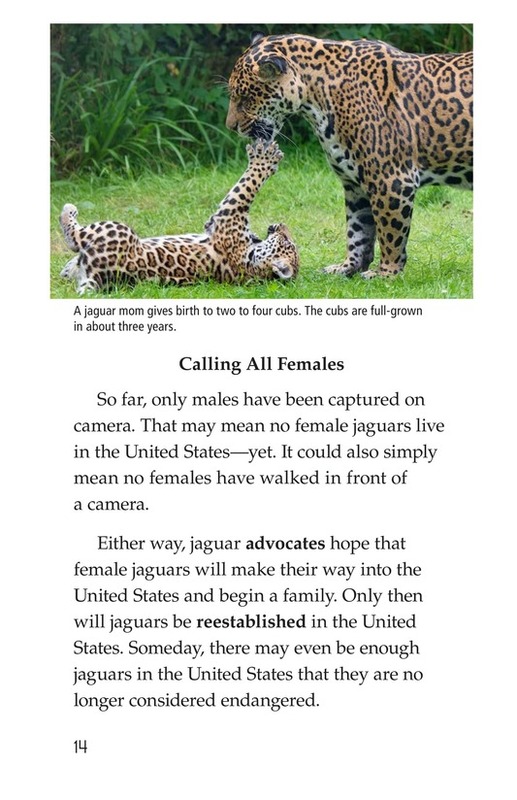 Today, however, that number has significantly declined. 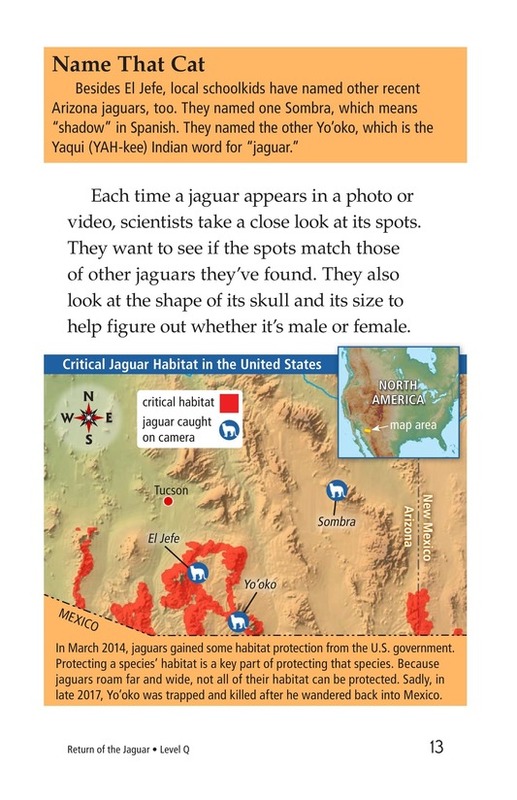 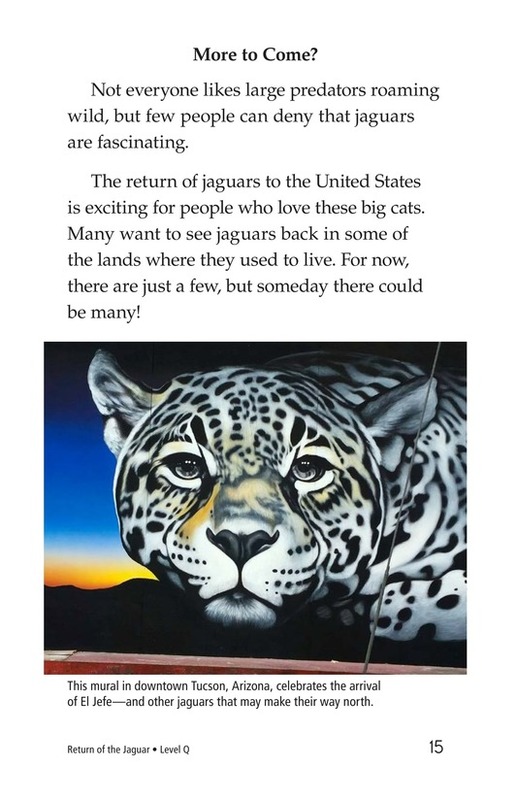 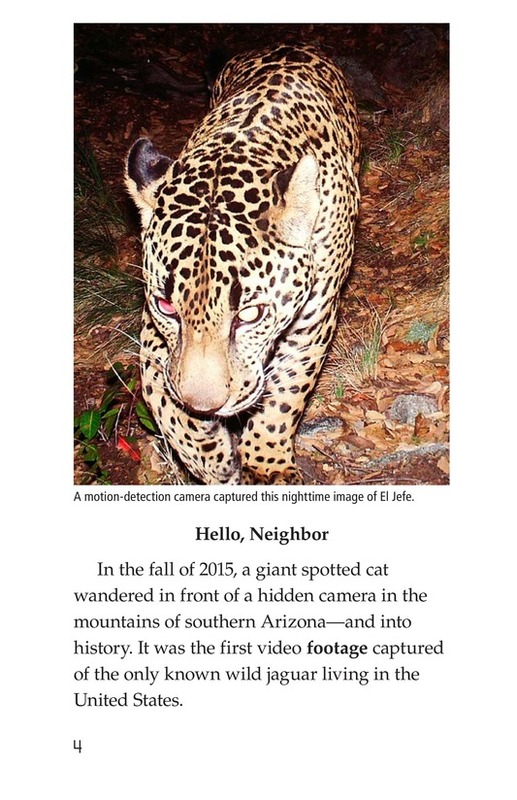 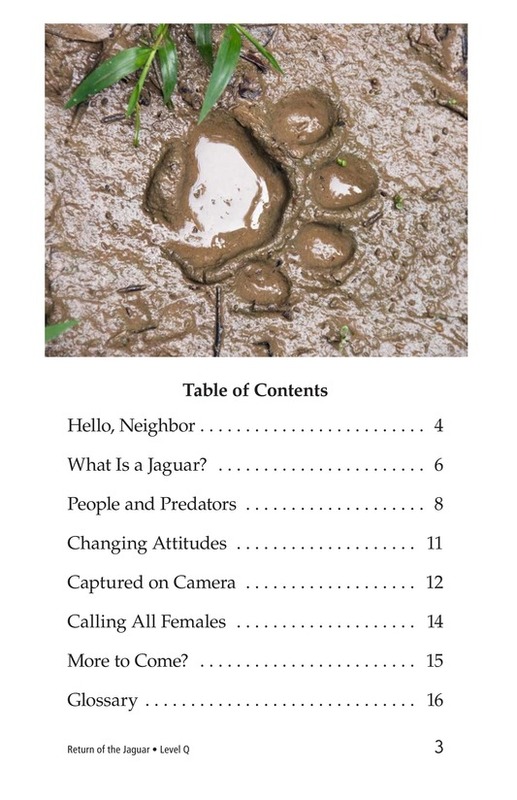 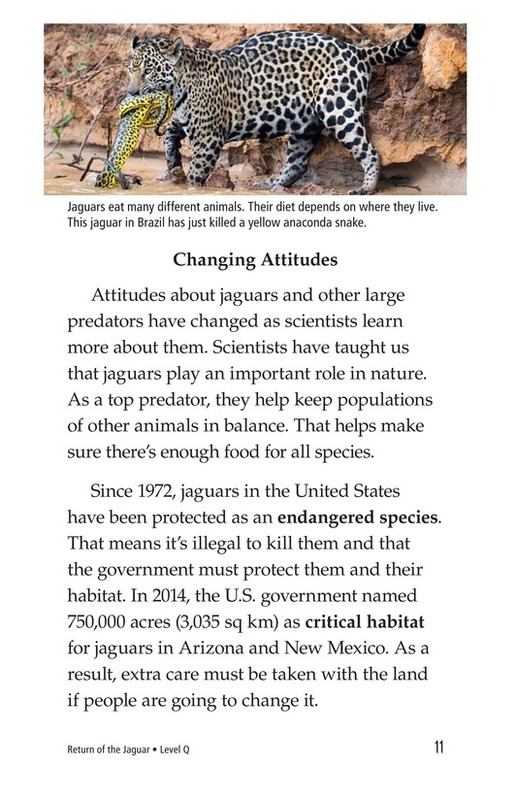 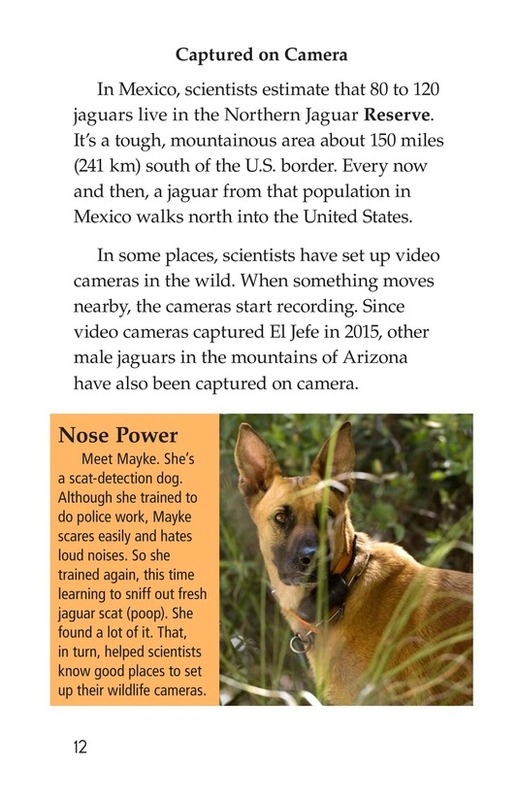 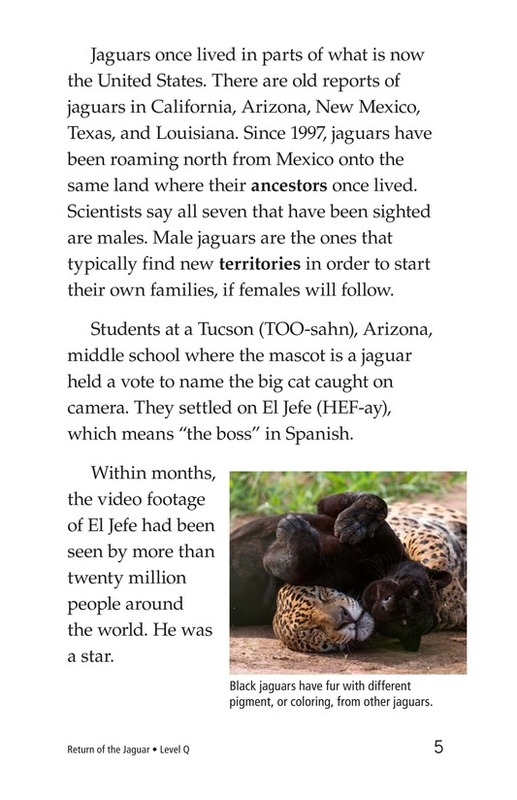 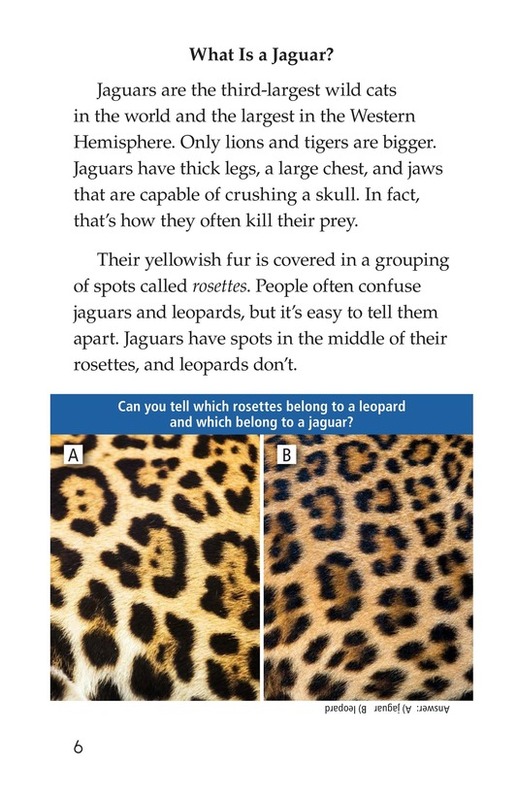 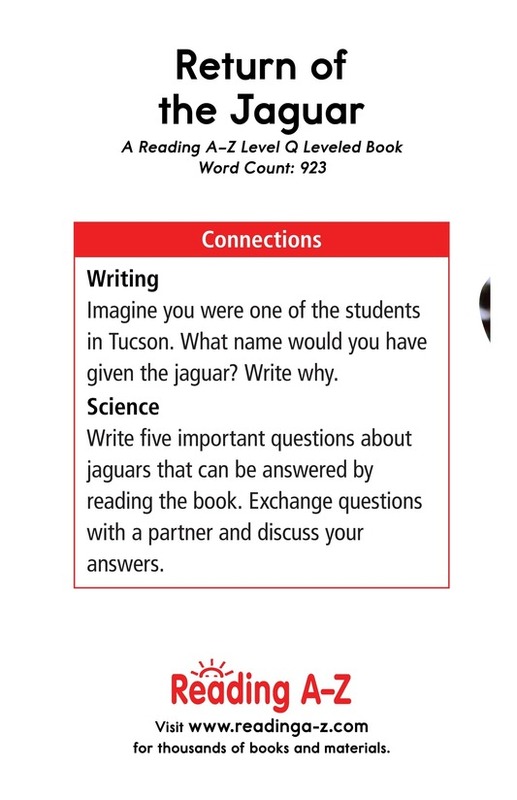 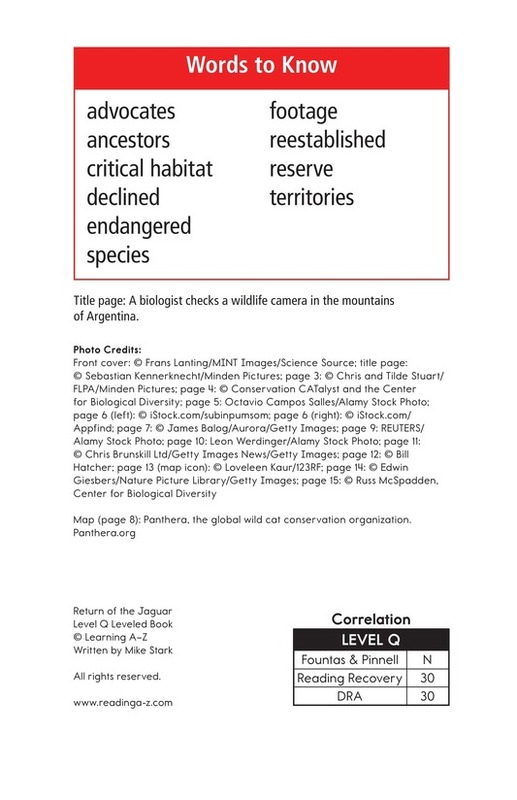 Return of the Jaguar gives students information about these amazing creatures and their return to the United States. 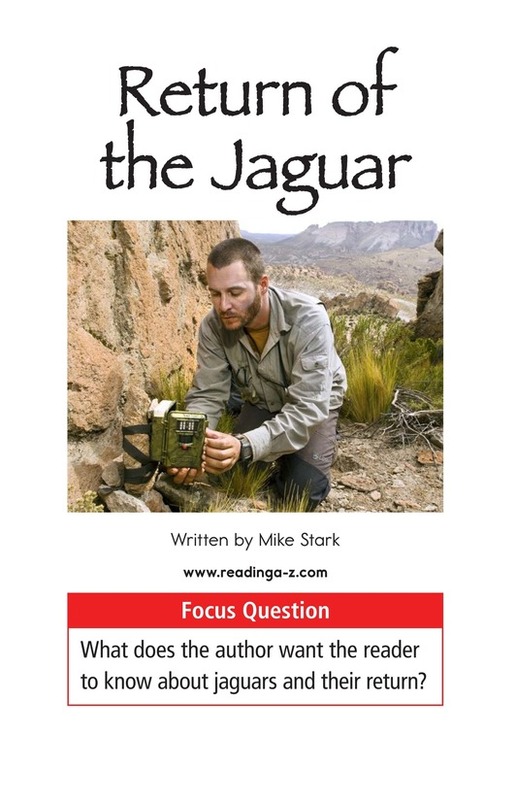 Beautiful photographs and an interesting topic will keep students engaged while also giving them a chance to summarize and determine the author's point of view.